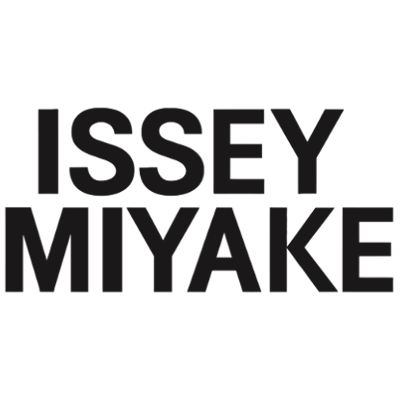 The original fragrance from Issey Miyake L'Eau d'Issey from 1992 already got two absolute editions: Noir from 2010 and Gold from 2011. 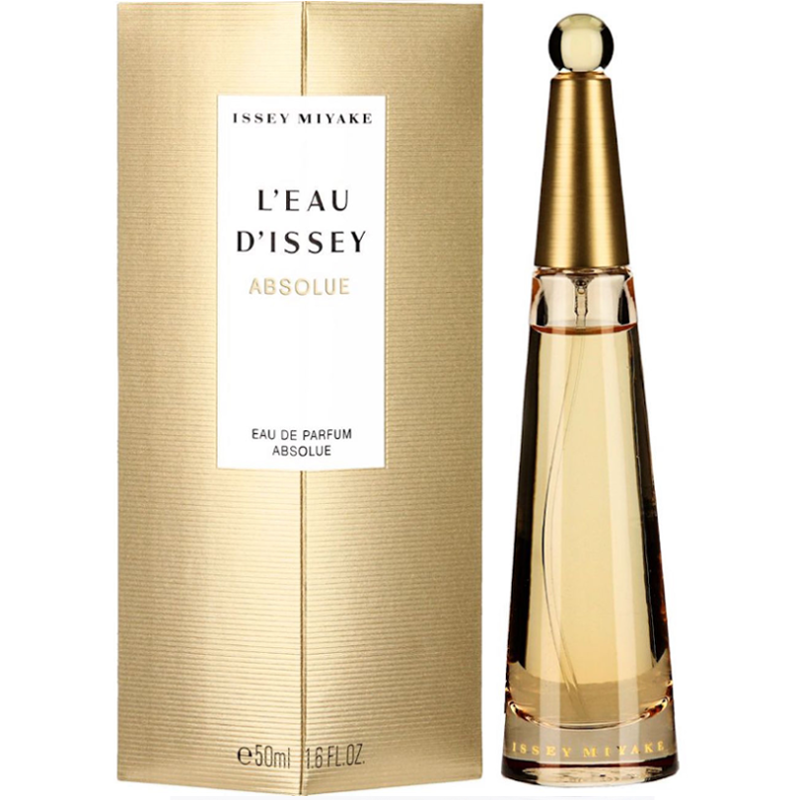 New L'Eau d'Issey Absolue launches in January 2013 as a limited edition for that year. The scent is inspired by ambery light cast by the sun at its sunset and jasmine flowers that bloom at night. The composition is bright and intense, blending floral notes of freesia and lotus with the heart of night blooming jasmine "Queen of the Night", honey from Provence and sensual tuberose. The base notes include Bourbon vanilla and precious woods. 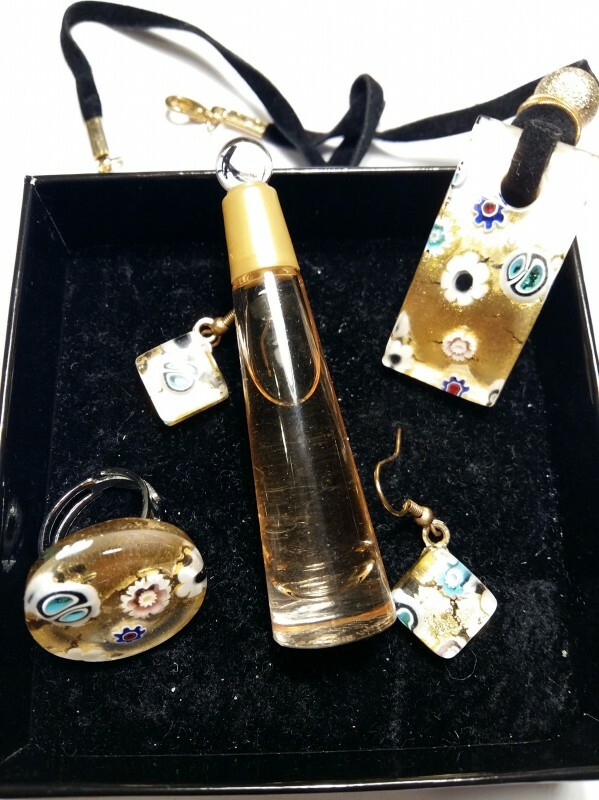 It was created by perfumer Olivier Cresp. 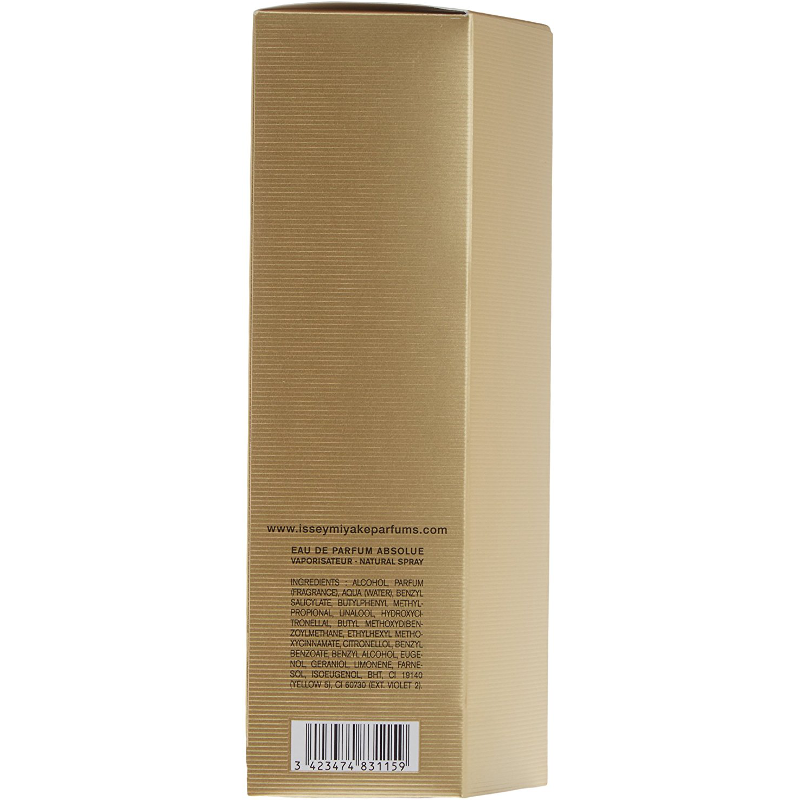 The fragrance is available as 25, 50 and 90 ml Eau de Parfum. 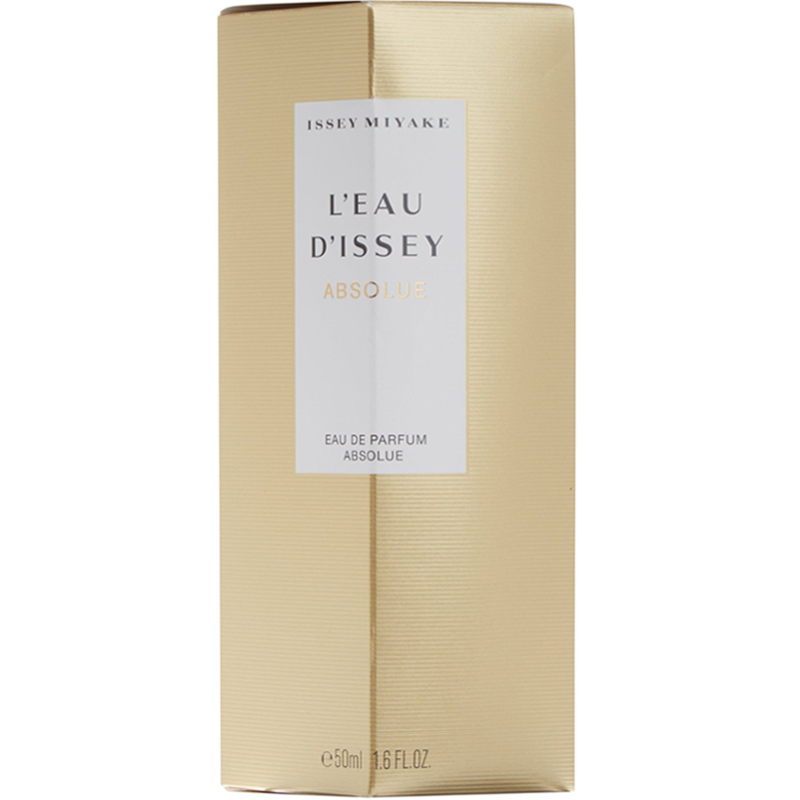 I got L'Eau d'Issey Eau de Parfum Absolue as a part of a package deal (5 minis in a travel collection of Issey Miyake's creations). This perfume was a discovery for me in terms how extra sweetness of honey can be tamed by fresh jasmine and white flowers scents. It proved to be a very good combination indeed. 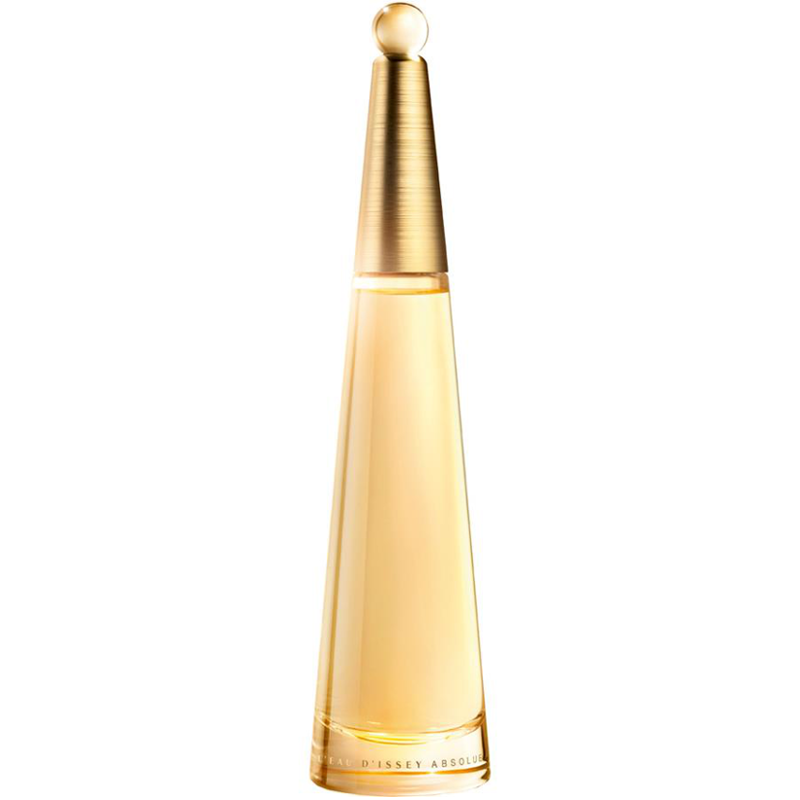 The bottle sports the same design as any other female's fragrances of Miyake's - a cone shaped bottle with even more cone-ish cap - and I welcome this simple and clear embodiment of a fragrance bottle. The contents the vial almost glow like an amber. The scent holds strong and true for a long time. It is an intriguing scent, however, after trying it for some time I think that I still prefer traditional pure jasmine variations of Miyake's better. But it does not prevent me from recommending it. It will suit people who prefer floral but not too sweet fragrances.